I’m pretty sure I’m not the only one out there who was scared of hard-boiled eggs as a little kid. I mean, have you guys seen the unappetizing greyish tint of the yolk of overcooked hard-boiled egg? But eventually I had a small bite or two in a Cobb salad and the world didn’t end. In fact, I kind of thought it was pretty good… but certainly not great. But then I saw this post from Clothide about how to make the perfect hard-boiled egg using a technique that she’d learned from A Platter of Figs and Other Recipes … I gave it a shot and I’m now very much a fan. You’ll get eggs with a gorgeous goldenrod-colored creamy yolk every time. I definitely recommend the technique for these eggs. 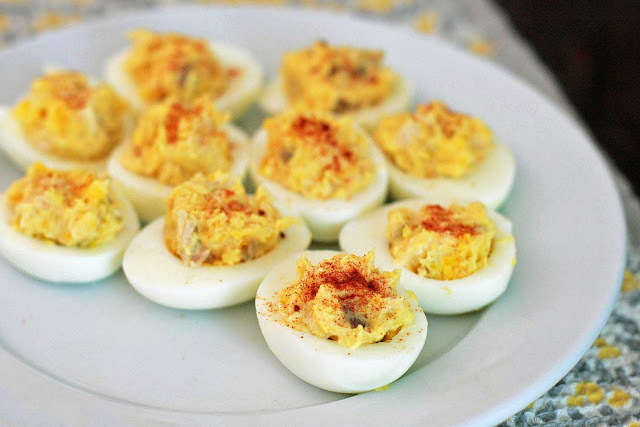 And speaking of these eggs, if you like deviled eggs and you like tuna salad, give them a shot. They’re like a two-for-one special. In a large saucepan bring water to a boil. Carefully lower the eggs into the water and cook (water should be at a constant low boil) for eight minutes. 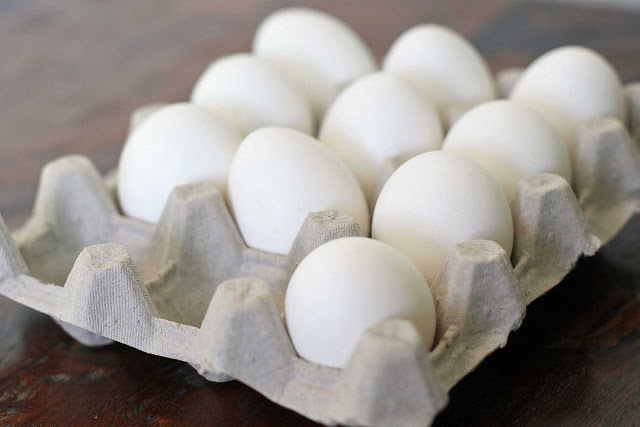 Remove the eggs using a slotted spoon and immediately put in a bowl of ice water to stop the cooking process. Peel the eggs and cut them in half. Scoop out the yolk and place in a bowl. Add the mayonnaise, tuna and anchovies and add salt and pepper to taste. Carefully spoon the mixture into the hollow cavity of the egg whites and sprinkle with paprika, if desired.